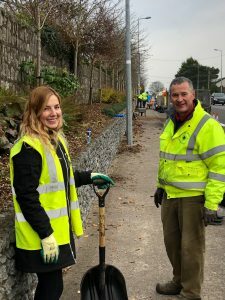 Ballincollig Tidy Towns are indebted to VMWare for their continuous support. The hours their workforce give to us help enormously. Whatever is asked of them they eagerly undertake and they are a pleasure to work with. A huge ‘thank you’ goes out to this company.